As I worked 60 hour weeks throughout the 2015 summer and fall, only staying sane by surfing barrels almost every morning, I began to plan my winter on all and every level. Reading weather prediction reports and planning logistics, I knew that Japan was a go to, California would be killer due to EL Nino and the western part of the lower 48 would be legit as well. Even with all these great plans I knew something was lacking. I have confidently skied everything the lower 48 and British Columbia has to offer, and even a good portion of South America. But I was ready to really prove my skills, knowledge, and abilities. 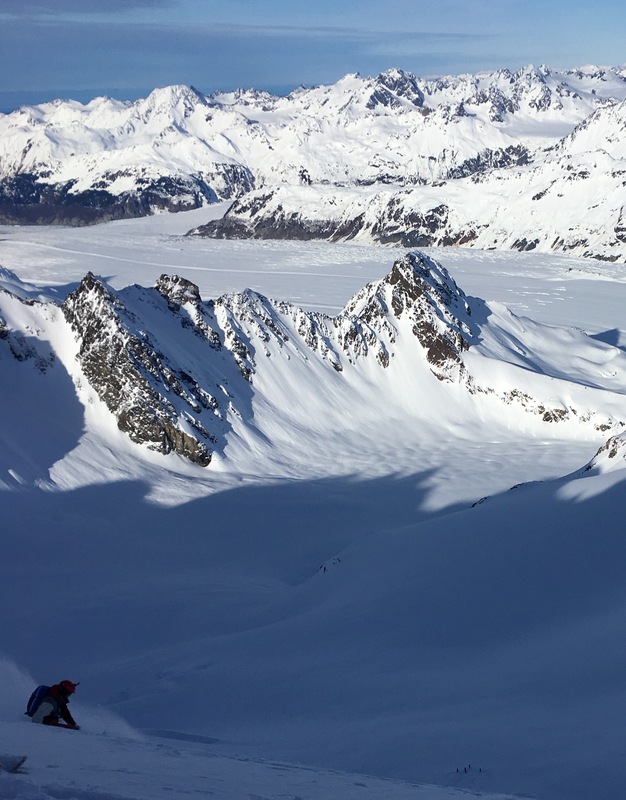 To really see what you are made of as a skier the real proving ground is and always will be Alaska, hands down no contest. 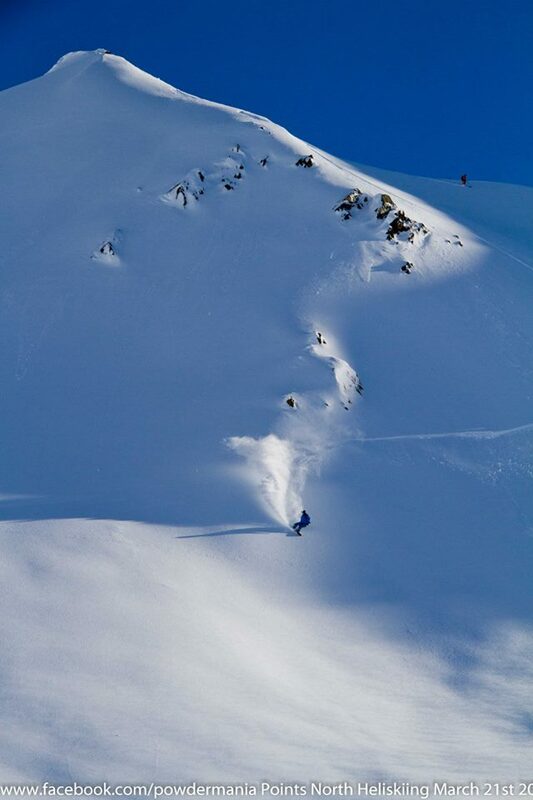 AK truly is next level kind of skiing, no place like in the world. 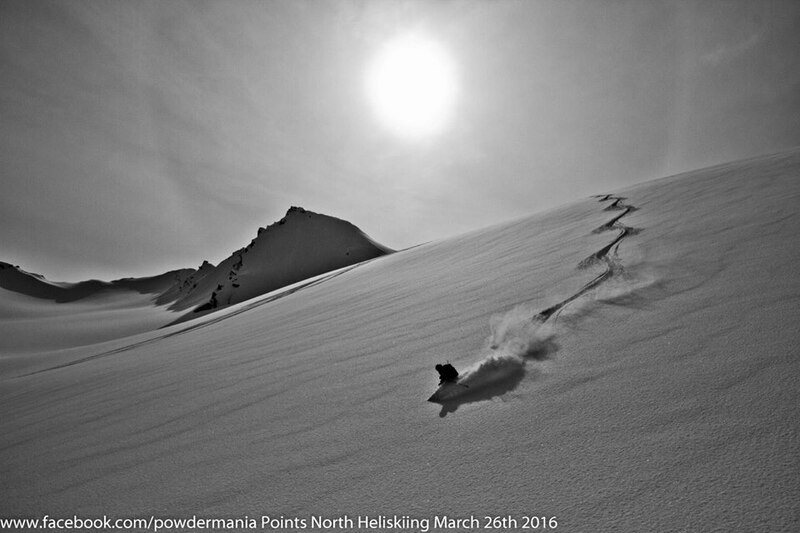 Therefore two days after my 26th birthday I called up the great folks at Point North Heli Adventures and coordinate with them to get a week of Heli Skiing for March 2016. 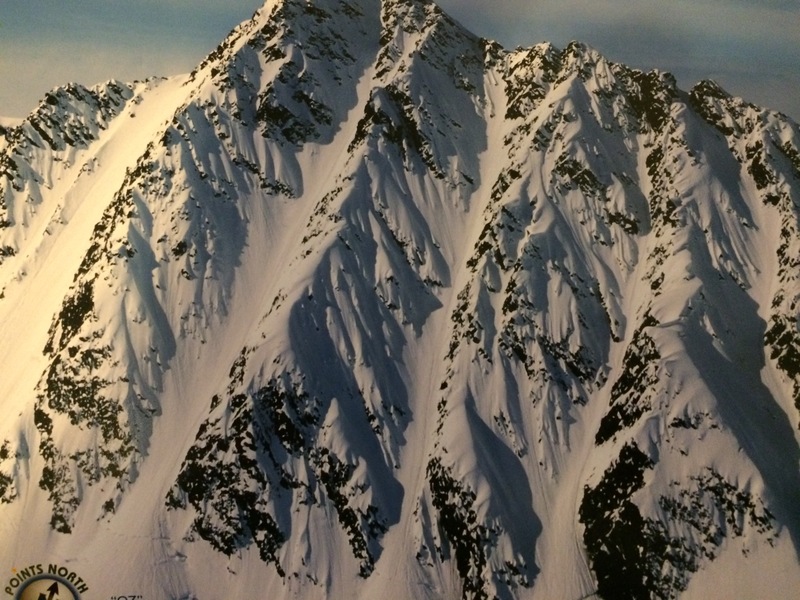 PNH has the reputation of being the gold standard for heli skiing in the industry and for good reason. Everyone I have known that has flown with them had nothing but great things to say about the operation and the terrain/zone they operate in. Furthermore many of the hard charging skier and riders I knew from Squaw have flown with them went to AK and became humbled. 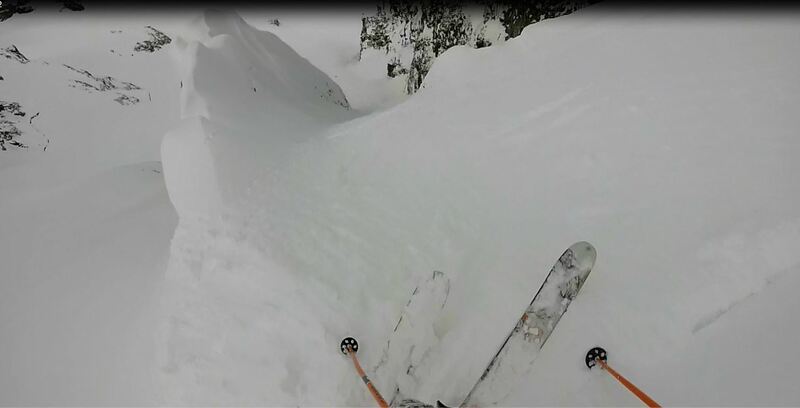 That was exactly what I was looking for, I wanted some terrain that truly challenged me as a skier and forced me to become humbled and even a little puckered. Jessica Quinn who operators and runs the PNH with her husband Kevin was very accommodating and helpful in getting me setup for my Heli week well in advanced and always gave me useful information as I planned my trip. She even set me up with some awesome hard charging riders from Tahoe that were repeat customers. This is yet another great benefit of PNH, they match you with other skiers of your level thus allowing you to ski and ride to the level that you want. I had skied a fair amount before the AK trip this season, but I set aside two weeks to rest and train in preparation for my pilgrimage to the motherland of AK and the famous Chugach mountains. AK was having a strange but good year. There was record snow fall in the high alpine and fairly high snow levels thus making lower elevation snow almost nonexistent. This is somewhat typical of El Nino years for AK. Upon arriving in AK it didn’t quite seem like Alaska in that there was no snow in sight at the airport or in the town of Cordova, but tons of rain was experienced. 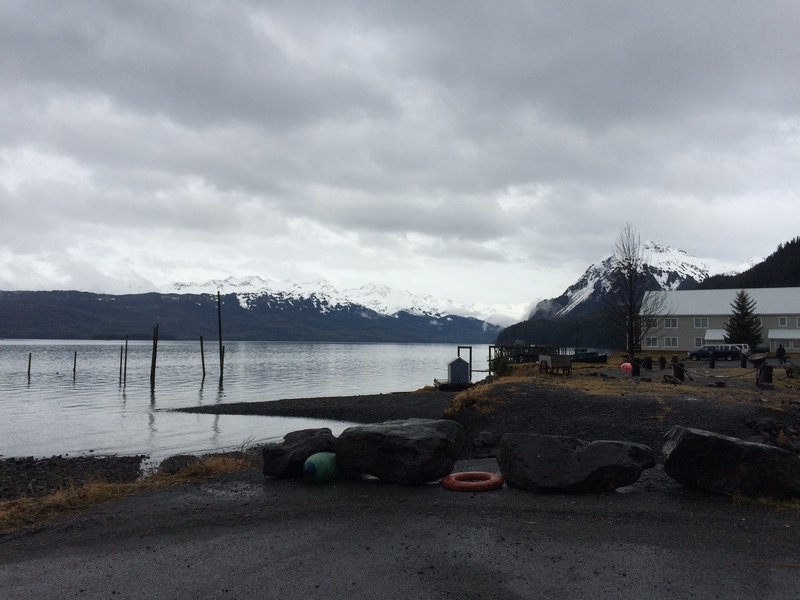 The great staff at Points North makes it very easy and accommodating, simply book a flight to Cordova AK and they pick you up for the week from the airport and take you to the base. Once at the base they walk you through and set you up with your group for the week. They provide any needed gear for the week, thus making heli skiing accessible for almost anyone and almost all skier and rider’s levels. Perhaps the best part is the staff is well experienced and knowledgeable the thus heli groups of people have equal skills and tolerance for risk and terrain. Once group are assigned, you meet with your guide and get a full safety orientation for the week, including the heli. 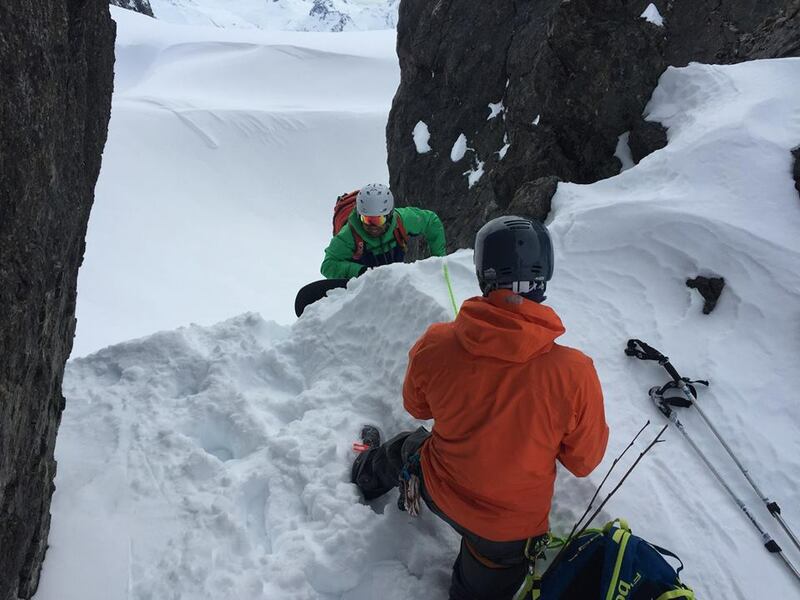 The guides at PNH are 100% dedicated to safety first and foremost and thus giving clients a justified safe and comfortable feeling when in the big terrain that AK has to offer. My group’s guide Tino not only was extremely knowledgeable but also made me feel very comfortable on some of the biggest and steepest terrain AK has to offer. He coached me and my group down sections of terrain that where 55 degrees sustained for 2000 vertical and littered with ceraics and crevasse, he belayed us into narrow lines, and did it with a smile on his face, thus making the whole experience not only safe but fun. His big mountain experience and resume really impressed me and the stories he told of his adventures really motivated me to push my travels and my skiing, yet he remained very humble and low key about it all. Safety meeting on the glacier with Tino, best meeting I have been to. The first day out we got a total of nine heli bumps. We got to open and ski a legendary line called OZ. 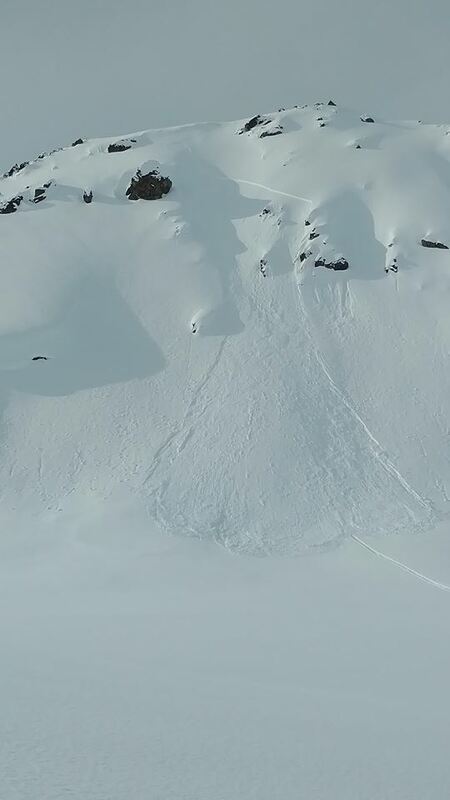 The friends in my group have been coming to PNH for three years and this was the first time they got to ski this insane line. My first day in AK ever and I get so ski a 55 degree sustained line that is 3000 plus feet, and I did it in about 2:30. Best day of my life hands down no contest. 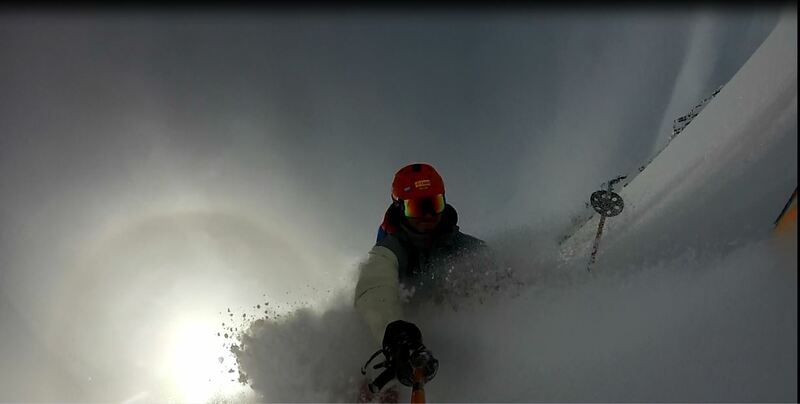 The storm that rolled in before us dumps 4ft of snow in the high alpine and thus every line we skied was blower. 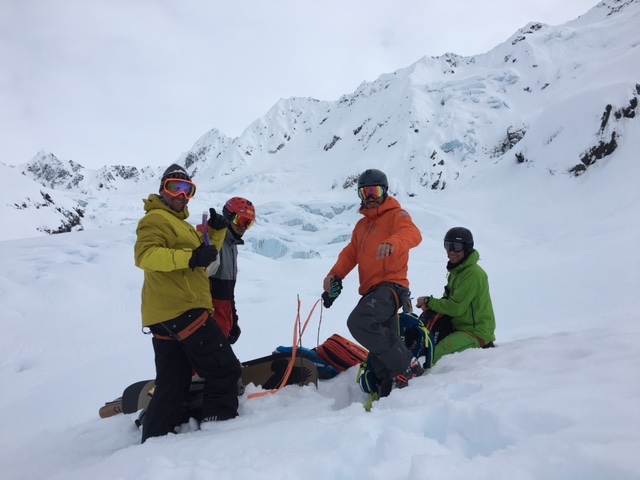 Even down days at PNH are fun because they offer tons of awesome activities, including cross fit sessions with Kevin Quinn, Glacier tours, hikes, and much more. I even borrowed a bike and rode down the coast for the most scenic ride of my life. 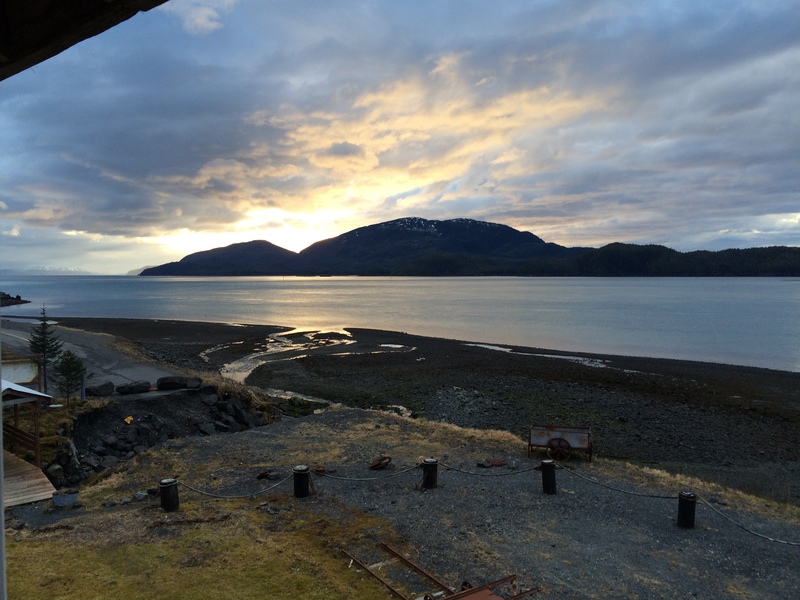 The base at PNH is right on the Ocean so you get heli skiing and ocean front views. Additionally they kitchen staff does an amazing job of serving up 3 meals a day of world class food. The second day in the high alpine again came with a fresher of snow and thus making it super fun and fast. We got to ski some awesome lines off Roman Numerals, 2-3k vertical ramps that are super wide allowing you to make large wide open turns. We then made our way over to Buddy Love peak and shoulder which is very commanding steep sustained pitch required only jumps turns for the first 1000k feet. 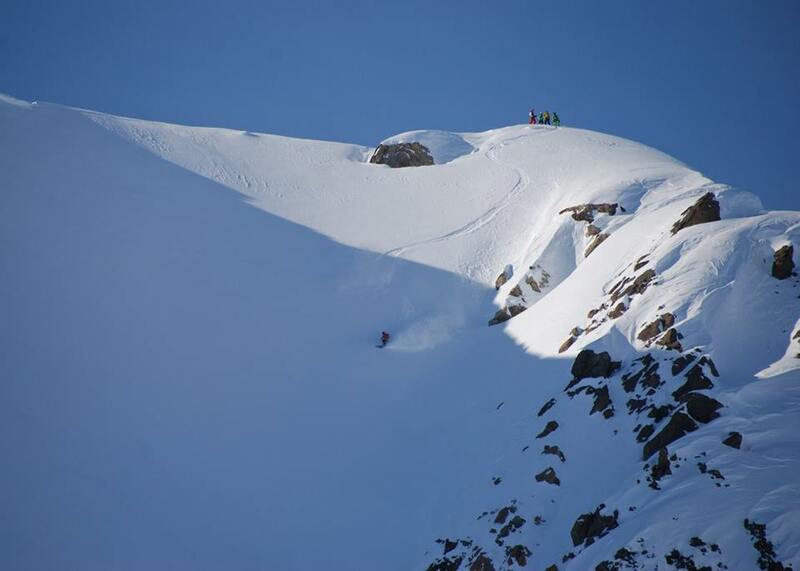 Off buddy love we also skied the Hour Glass a steep wide open chute that is very playful. 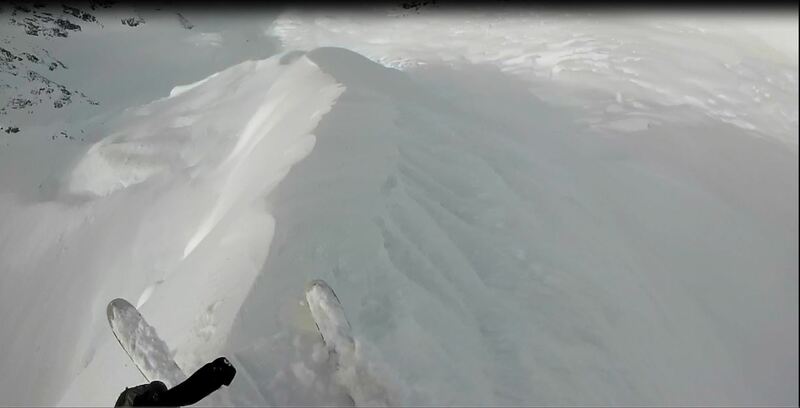 We then made our way to Worm Spines, where we got some awesome super classic AK spines that are extremely steep and covered in blower AK powder. This was the first real crap my pants moment I had in AK and I was so stoked about it, and in fact even thanked my guide Tino for giving me that. This is why I came to AK to become a bit humbled and metaphorically(hopefully) crap my pants, haha. These spines have a fair amount of exposure on both sides, are very steep, have chokes at the exit above crevasse, and require precise sluff management at all times. Finally we ended the day in the Donkey Kong Zone which required a down climb to access the tight chute. Again this was puckering experience and just what I came to AK for. This terrain was close to 60 degree sustained throughout from what the guide Tino said. 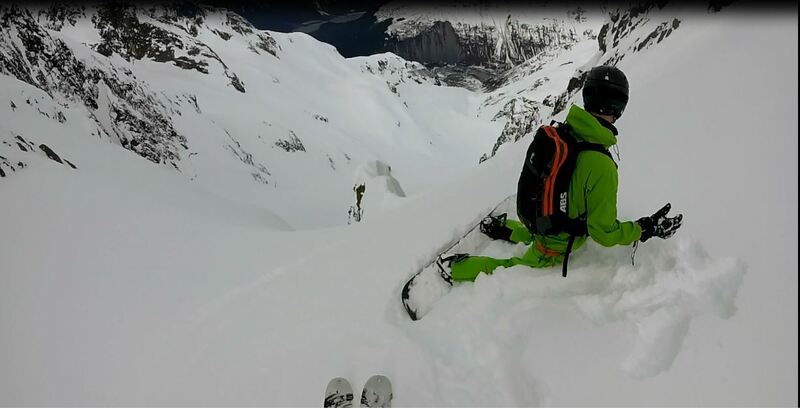 The chute choked off a fin into a ski length wide couloir that required well timed and precise jump turns and perfect sluff management. When I got into this and started my jump turn sequence I felt like Doug Coombs in 1992. Again this day has been the best I have in my life to date on all and every level, this is why you come to AK and this is why you ride with PNH. A few more weather days followed dumping more feet of snow into the high alpine. During this time I did an amazing trail run with a few other friends at PNH that went up to the snow level from the ocean. The sun finally opened up our last day there and we were able to fly. Due to higher danger and less time to settle in the snowpack we did our best to stick to mellower terrain. This was great because we had blower conditions throughout. Even with being careful there was a small slide that ripped out on our guide, reminding us gently how real and dangerous Mother Nature can be. We then reduced our riding to even a lower angle and changed objectives a bit. Small Avalanche our guide was able ski out of. Furthermore the lower angle mellow terrain allowed me and my friends to at times party ski all together. Skiing fast, fun, blower powder terrain with your friends in a group is the greatest feeling in the world. 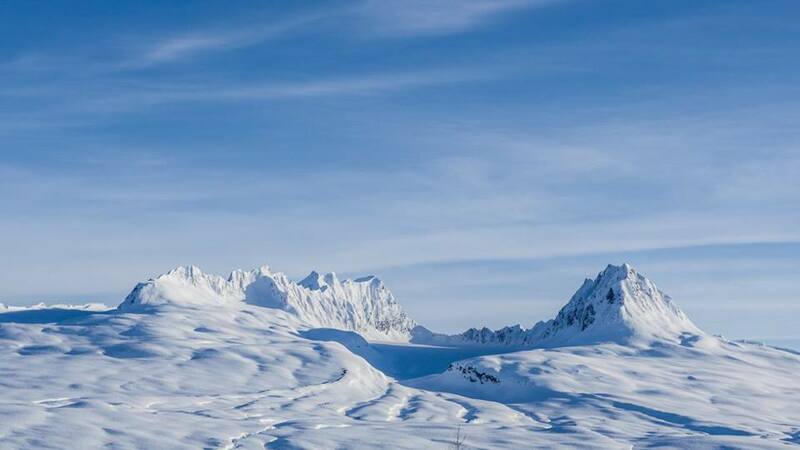 Additionally in this rolling terrain with some features I was able to throw a few cool tricks and land in perfect powder, I could not leave AK without a few 360s and some grabs. 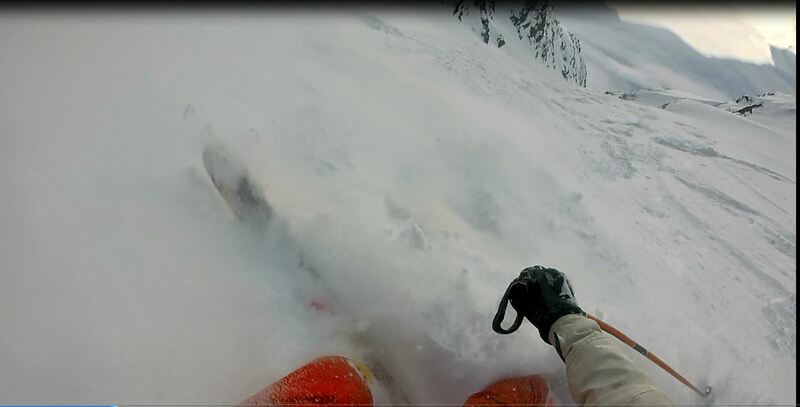 My Alaska Heli skiing week was far and above the greatest experience of my life hands down no contest. 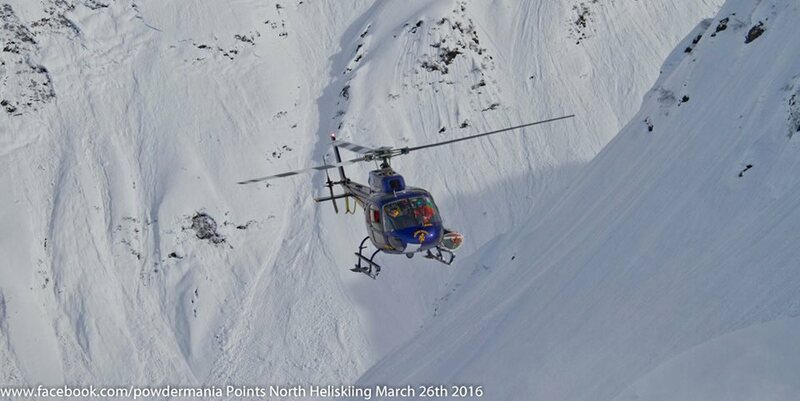 Furthermore heli skiing is in AK is now in my blood and something that has influenced my forever. With that said I will do all I can to make it back to AK every year as a pilgrimage. I will make the time and money happen one way or another, assuming I have the health, AK is on my season list for life thanks to this amazing experience provided to me by the great folks at Points North. I would encourage anyone who really wants a true skiing experience like no other to give heli skiing a try and I promise you it will forever shape your life and you’re skiing. With that no better way to experience than with the crew at Points North. Born and raised in Northern New Mexico, lived, skied, surfed, biked all over the world, big mountains, big waves, and big adventures are what motivate me most. "Live Life, Love Life, No Regrets" -CR Johnson.